Today we have a special World Mom Feature post by Loren Braunohler in Bangkok, Thailand of Toddle Joy. If you would like to contribute a post and be featured on World Moms Blog, contact contribute2@[at]worldmomsblog[dot]com! Whether I want to accept it or not, I’ve become Kris Jenner. Yes, if being a full-time mom and keeping up with my children’s schedules, meals, nap times, and need for love and attention wasn’t keeping me busy enough, I am now their “momager”. Quite by default, to be honest. In the U.S., my children are just two more fair-haired toddlers bumbling down the grocery store aisle. There is no additional pomp and circumstance; no extra drama to add to the already chaotic toddler lifestyle. They are just themselves – Logan and Katelyn – growing up and doing typical toddler things – amidst a sea of other toddlers: some of whom look like them, some of whom look very different from them, thanks to America’s melting pot phenomenon. But hop on a flight across the Pacific, and my two fair-haired children are received very differently. So differently, in fact, that it is striking. In Asia, they are rock stars. They are mini-celebrities. They are novelties. And everyone, from the noodle soup guy on the street to the wealthy Mercedes-wielding apartment building owner, wants to get their hands on them. And kiss them. And squeeze them. And talk to them. And hold them. And show them off to their friends. There is our daily walk to and from the grocery store, which should take about five minutes each way, but instead takes ten or fifteen because of friendly people on the street who want a chance to entertain my children. There are the constant photos, anywhere and everywhere really, taking pictures of my son ambling down the street with his sunglasses on or my daughter “helping” me shop at the Tuesday clothes market. There are the restaurant servers who happily whisk my children away for a walk back to the kitchen to show them off to the chefs (bonus: mom and dad actually get to eat together for a minute or two). And there is the occasional passerby who videotapes my son as he indulges in a soft serve ice cream cone. In the U.S., this kind of attention would be creepy to the point of suspect. In Thailand, however, it is 100 percent normal and accepted. In fact, to be completely honest, it would be odd if no one were paying attention to your fair-haired baby. Although I had read about the attention that Caucasian children received in Southeast Asia, I was not prepared for the deluge of attention that would be lavished upon my children when we arrived. At first it was difficult – and at times onerous – for me to deal with, but after two years in Thailand, I have learned to appreciate and understand this unique cultural difference. Thai people really love children, and they really, really love to interact with Caucasian fair-haired children. We have had similar experiences when traveling in Hong Kong, Bali, and Cambodia. If you plan to visit or make a move to Asia with your fair-haired children, be aware that this, too, will likely happen to you. And as a parent to newly-minted mini-celebs, you have to figure out how to manage the overwhelming amount of attention your children receive, how they deal with it, and above all, how you deal with it. Do your children meet their new-found “fame” with laughter, confusion, fright, boredom, or all of the above? And what about you? How do you deal with strangers going gaga over your offspring? What about holding them? Photographing them? Videotaping them? Are you out of your comfort zone yet? Factor in more time to do, well, anything when you have your children out in public with you. Always, always be polite, even if you find the attention annoying or overwhelming. Learn to relax a little – you are in a new place and the rules are different. Don’t let it keep you from exploring the new things around you. It took some time for us to get used to managing the attention Logan and Katelyn receive. There are days I wish we could walk down the street unnoticed and make it to our destination in record time. But for the most part, I am so thankful to be living in a part of the world where children are cherished, adored and loved – even if mostly for their novelty factor. The constant personal interaction has shaped Logan and Katelyn into social and confident young people, and for this, I am eternally grateful. Our only concern at this point is how much of a dive our children’s egos will take when we move home. But that, my friend, is a bridge we will cross when we get there. This is an original post to World Moms Blog by Loren Braunohler in Thailand. Loren and her family moved to Bangkok in November 2010. 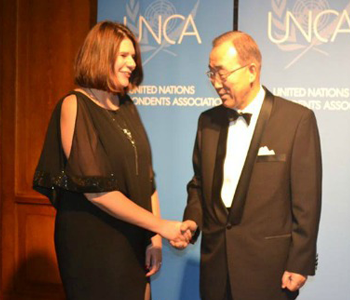 A former U.S. diplomat who served in Mozambique, Venezuela, Sudan, Washington DC, and Thailand, Loren resigned from the U.S. Foreign Service in July 2011 to be a full-time mom to son Logan, now age two and a half, and daughter Katelyn, age eleven months. In 2012, Loren started Toddle Joy, an online blog and resource for expat parents of young children who are new to Bangkok. 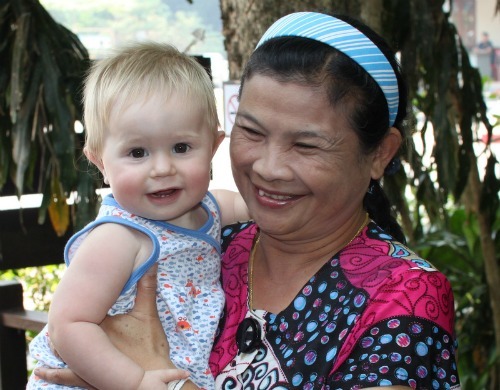 Through her blog, she hopes to inform and inspire others about the joys of raising a toddler, both in general, and in a place like Thailand, where children are continuously adored and amazed by the world around them. Loren is also a freelance writer and has published pieces in Travel +Leisure (Southeast Asia) and Bangkok Mothers and Babies International (BAMBI) Magazine. On the web front, she regularly contributes to Expecting Expats. Photo credits to Loren Braunohler. 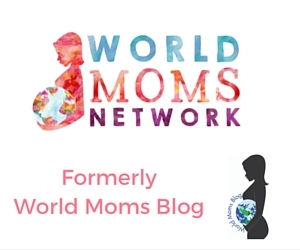 Thank you for sharing your post on World Moms Blog! I was a foreign exchange student to Japan in high school. My hair is brown, put people still wanted to touch it because it was different from theirs! Your post reminded me of that! 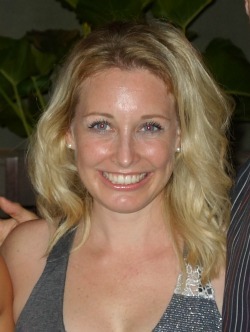 Jen: I was so happy to be able to contribute to World Moms Blog. Many thanks for publishing my piece! Loved hearing that you were in Japan for one of your high school years, as I spent my four years of high school not too far away in Singapore. Thanks again for what you are doing with this site. Such a great place for parents around the world to connect. thanks for sharing this. I have 2 blond children and one strawberry blond one. In Europe, they don’t stand out (even though I was often complimented on my little girl’s beautiful red curls), but whenever we come across darker-skinned people, they’re rock starts, just like you mentioned. In the Louvre, an Arab family took pictures of my girl rather than taking pictures of the exibition. In Madurodam (which is like a miniature Holland), an Indian family took picutres of my girls as well. I was shocked but also proud of how pretty my children are and surprised how differently people of other cultures relate to children. Enjoyed reading your post, thanks! Hi Olga: Many thanks for reading and commenting! Love your story about the Louvre. Just a few weeks ago we visited a sheep farm on the way home from a beach trip and my son pretending to ride a tractor was a bigger attraction than the animals! We love getting pictures of others taking pictures of our children. It is always something we can look back upon and laugh about. Love your site, by the way! Loren!!!! I’m so happy to see you here! And of course Logan and Miss Kate are rockstars, just like their mama!!! I loved your piece! I can’t stop smiling! Evan and Josh are certainly not blonde but I can totally relate to your experience. Big xoxo! Ana Gaby! I’m so glad you liked it! So happy we can share our similar stories and experiences living overseas with the little ones often. We miss you in Bangkok, but we are learning so much about Indonesia through your fabulous blog. Keep the posts coming! So interesting Loren! I haven’t been to Asia since before the kids were born and find this post most interesting. I know that my son would flip out with all of that unwanted attention, while my daughter would thrive in it. So interesting to read about different cultures, so thank you! So glad you enjoyed it! It’s definitely interesting to see how children react differently to the attention. My daughter (one year) absolutely loves it and my son (almost three) is annoyed by it. It becomes a balancing act to manage them both when we are all three out together in public! I had three very blond babies/toddlers and I know two would have revelled in the attention and one would have been completely overwhelmed by it. So great that your kids get to have this experience…it will be very interesting to see how they experience being amongst a whole lot of blond kids when they return to the west. Hi Karyn! Thanks so much for your comment! Yes, it will be interesting to see how my toddlers react when we move State-side. Will they notice a difference at all? Will they find it odd that strangers are not always trying to engage them? I don’t know, but the daily attention they receive in Thailand has definitely been a defining aspect of our time here.